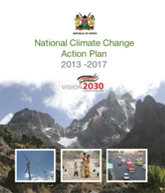 National Climate Change Committee: An inter-ministerial committee of Permanent Secretaries overseeing coordination action on climate change, overall strategic and policy guidance, chaired by the Office of the Prime Minister (OPM). 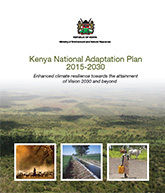 National Climate Change Taskforce: This is a senior-level Taskforce overseeing the delivery of the Action Plan and is co-chaired by the PS MEMR and Dr George Wamukoya, COMESA. Members include senior representation from across Government, plus additional representatives from the private sector and civil society. As soon as available and with permission from GoK, a full membership list of the Taskforce will be provided to the successful bidders for this subcomponent. Thematic Working Groups: A lead Taskforce member has been appointed for each subcomponent. This subcomponent lead will identify and chair a working group, bringing together a wider range of experts and interested partners and stakeholders. The Working Groups will work collaboratively with the lead consultants delivering the subcomponents; providing advice and technical expertise during the project process, as well as ensuring mainstreaming of climate considerations into sectoral plans. The name of the leads for each Working Group and any information to date regarding the membership of each group will be provided to the successful bidders as soon as available. There may also be opportunities for the successful bidders to suggest further memberships for their respective Working Group(s). Climate Change Secretariat: The MEMR Climate Change Secretariat was set up as part of the implementation of the National Climate Change Response Strategy. The Secretariat is in charge of coordinating all climate change issues in the country including overseeing the delivery of the Strategy and Action Plan. The Secretariat works closely with climate change focal points in all relevant ministries including the Climate Change Unit at the Office of the Prime Minister.